So once again, Ottawa Horror is planning a movie night. 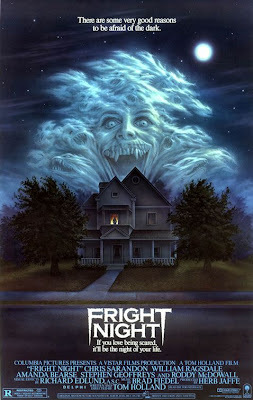 This time we'll be taking in that classic 80's bit of Vampire Schlock "Fright Night" at the one and only Mayfair Cinemas. The show is Friday January 22nd at 11PM. Admission is $9.00 or $5.00 if you're a member. Hope to see you there! OMG this is tomorrow! We're gonna try to make it! Oh question for you... Phantom of the Paradise, the cheesey 70s rock-opera, is one of our favie movies of all time, and it's been known to be popular at midnight showings. Do you have any tips as to how we could get a screening of this classic in Ottawa? We'd be there with bells on!!! And capes and masks. 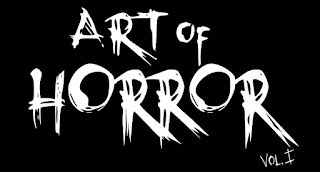 Well funny you should ask... We're hoping to get an Ottawa Horror Night at the Mayfair... They're looking to get theme nights going. So if that happens we'd definitely try and get that one... I'd forgotten about till you mentioned it! You could also contact the Josh, Ian or Lee at the Mayfair about getting it in! They're good guys!